General Store Site 12294 Harris Road Pitt Meadows, B.C. Hey! I’m Maddy and I was the YCW summer student in 2018. I’ve lived in Pitt Meadows my entire life so it was really interesting to be able to work for the Museum this summer. I was in charge of opening the Hoffmann and Son Shop site every day. I spent the majority of the summer putting together a new information panel on anvils that is going to be exhibited at that site to accompany the blacksmith’s forge. I now know a lot more about anvils than I ever thought I would but I’m glad that I do because they are actually far more interesting than I could have imagined. 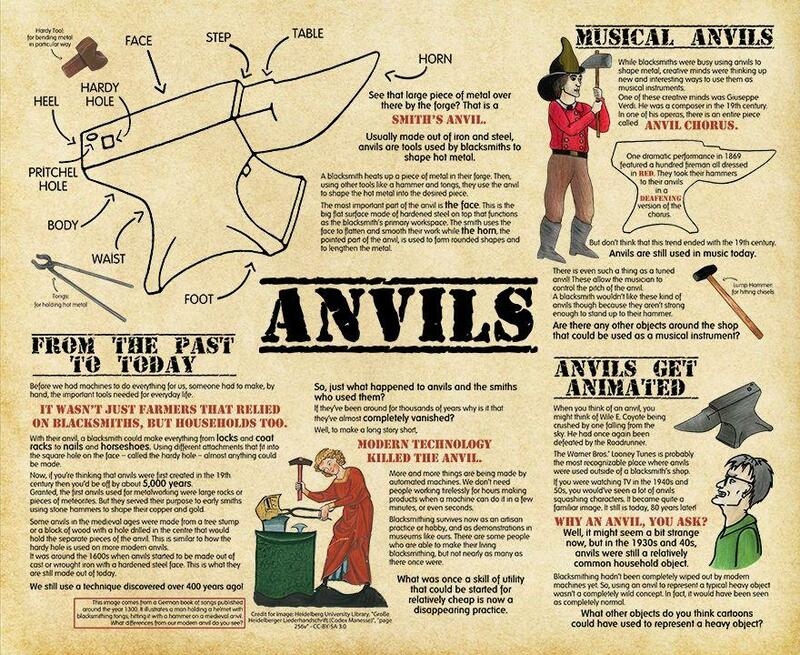 The history of anvils goes back practically to the dawn of humans. Although, the term anvil is used loosely here to mean “large rock that could be used to hit things on”, I don’t exactly go this far back in my exhibit. However, there is certainly some interesting history that you can read about! There is also lots of information about the variety of uses an anvil has outside of a blacksmith’s forge, some that you might not have considered. There is something for everyone in my exhibit. In addition to learning about anvils and blacksmithing, I was scanning old business documents from the Hoffmanns. 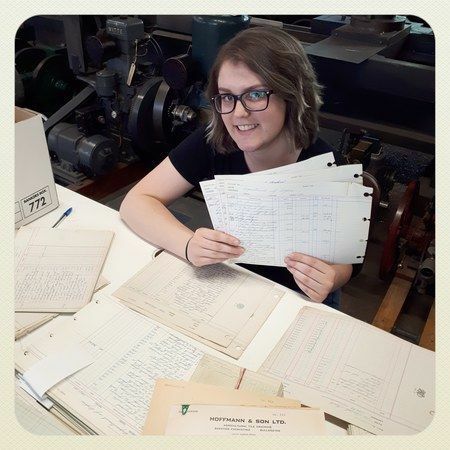 This is part of a larger digitization effort in order to make these documents and records easily accessible. It was fascinating reading some of the documents, especially when I recognized a name from around the Museum. It showed just how small this town really used to be. But it also illustrated just how far across the Lower Mainland the Hoffmanns’ work took them. I also assisted during our Heritage Thursdays children's program to help it run smoothly. I have always loved working with kids so it was fun to be able to participate in this. I had a lot of fun this summer and I want to thank everyone at the museum for making it great. Their dedication to the museum is clear in everything they do and I’m glad that I got to work with such a lovely group of people. to maintain a sense of identity and pride in Pitt Meadows’ heritage.